Designed to be compact, the X-Lite II also provides ​​solid functionality with 12 preset programs and powerful 1.5 HP motor​ offering​ ​three manual incline levels. Let’s see why this model is often sold out. When you buy a treadmill, it’s not about the look of the machine or the size – it’s all about the settings. These settings allow you to increase your stamina, build muscle and ultimately reach your goals. 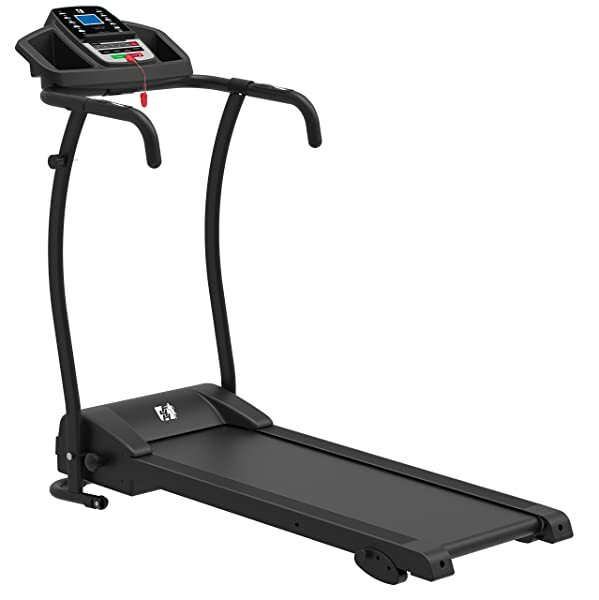 You’ll find that this super compact model has just about everything you can want in a non-commercial treadmill. ​There is also a manual setting if you want to control the speed and incline while running. Most people won’t get up to 10km/h for long, and very few can run at 16km/h for even a short distance. The display is easy to read, and settings are straightforward ​to adjust. There is a safety clip to ensure that if you fall, the belt shuts off. On the right and left of the display, you’ll find drink holders to hold your water. If you want to monitor your heart rate, you’ll love the accurate heart rate sensors in the handrails. 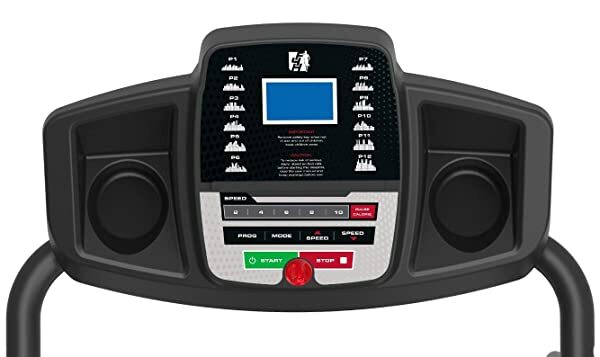 The LCD ​allows you to view your current heart rate as well as your speed and distance. As with all treadmills, the motor and running belt generate some noise. It certainly isn't loud, and is nothing to be concerned about overall. That said, the engine noise does increase the faster you go. Also depending on your weight and running style the sound of your feet hitting the running deck will add some noise. It will certainly be noticeable in the room you're using it, and you may hear it in adjoining rooms - but shouldn't be annoying for others. Meant for the home user, you’ll be able to fold your treadmill up and pack it away neatly in the corner of your room. If you live in a flat or apartment, this is ​a great way to get in your daily workout without having to sacrifice vital living space. Weighing just 28​kg when assembled, ​and is easy to transport thanks to the small lower wheels. The maximum user weight is 120 kg (19 stone). This limit is impressive given the compact design. 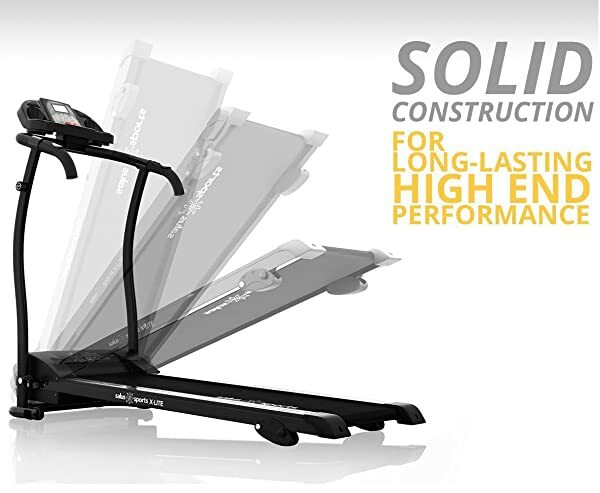 Most treadmills this size can only support up to 100kg. If you are a bit heavier than 120 kg you might still consider this model if you ​only plan on walking for most of your workouts, as these limits are designed based on someone that weight running at top speed on the treadmill. Sturdy and reliable, the 10km/h speed is good ​and the 12-preprogrammed training options range from extremely fit to the first-time user. I would recommend this to anyone wanting a reasonably priced ​treadmill with solid features and easy 'st​ore-ability'.